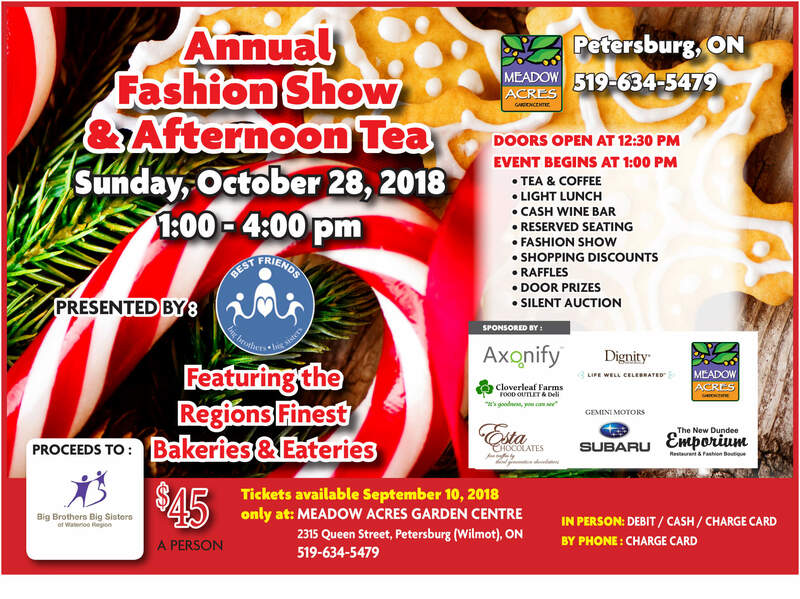 Thank you to this year’s Annual Fashion Show & Afternoon Tea attendees, sponsors, and supporters for helping to raise over $18,000 for our programs! A very big thank you to the Best Friends for putting on another amazing show this year! Stay tuned for next year’s event! Featuring the Region’s Best Bakeries & Eateries. Doors open at 12:30 PM, with the event kicking off at 1:00 PM.